This page contains affiliate marketing links. We may get paid a commission on the sale of a product or service recommended here.Learn more HERE. 2 What About Your Cholesterol Levels? I had a friend ask me that exact question thirty years ago. And now, our choices have narrowed since, in some ways. Yet we have been re-educated to learn that egg yolks give us essential fatty acids – the kind our body can’t make from what we eat. One caveat is, keep the yolk soft. The enzymes needed to digest the nutrients in the egg are built in, but they cannot be overcooked or they are rendered ineffective. Butter also gives us essential fatty acids. And, if we choose pasture-fed butter sources, we also get a better ratio of omega6 to omega 3 fatty acids. Fatty meats can be healthy. 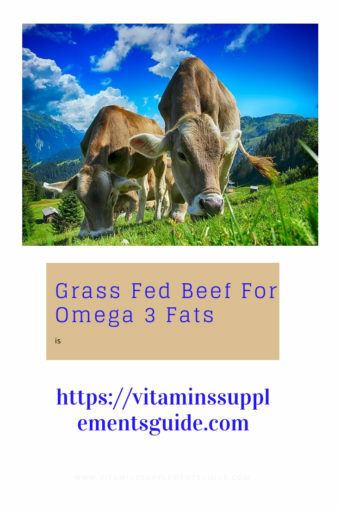 Pasture fed meat sources, similar to butter (cheese, yogurt, sour cream et al) provide us with a healthy omega6/omega3 balance. This doesn’t mean you can chow down on chunks of fat, but you don’t have to obsessively trim every bit of it off your steaks, roasts and chops. Fatty wild caught cold water fish are highly recommended for getting healthy oils into the body. 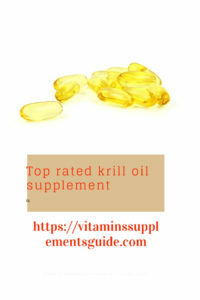 A good, purified fish oil supplement is Krill Oil. There is one I recommend because of the integrity of the brand, Primal Force. Deep fried battered foods are still not recommended. Why? Most fats get damaged in high heat and become trans fat, which in turn damage your body chemistry. Go ahead and have a donut with your coffee once a month. If you’re ingesting some healthy omega 3 oils that day, it’s not destructive. What About Your Cholesterol Levels? Cholesterol is associated with heart disease, arterial disease and death. And there is Bad cholesterol and Good cholesterol to keep track of. The Stanford Medicine article is here. ” If you or your patient is more successful at losing weight with a low-carb diet, you might not have to worry so much about the percent of saturated fat.” (from the same article). Being hungry. Would you agree? Isn’t it the most glaring-in-your-face side effect ? Just hanging on till that next meal. Chewing gum, drinking copious amounts of black decaf coffee or tea. 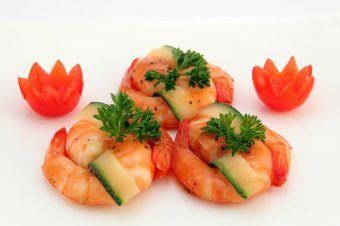 One really excellent thing about the low carb high protein diets is that they are not low fat diets. Fats are allowed, and that’s why you want some knowledge about healthy fats. Fats are filling. They take longer to digest, maybe even until a half hour before your next meal. A Keto diet is a high fat diet. Much fat required! And, you must stay in ketosis. 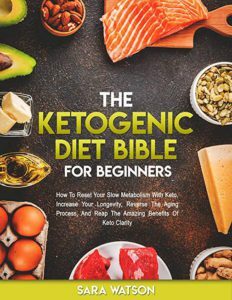 This is one of the leading books on ketosis, and you can see more like it on the amazon page. However, a low carb diet is simply low carb. You may or may not be striving for a high fat keto diet. In a low carb meal plan, you would replace crackers with walnuts, for a snack. You would be consuming omega 3 fatty acids, healthy oils for energy and mental clarity. Your body will always choose carbohydrates first, to burn as fuel. So what if you don’t eat any? In quantity, that is.Vegetables and meats contain carbohydrates, but not like bread and potatoes. Your body will then burn fat for fuel. Those curves and bubbles you don’t want, right? Yet here is why extremely low fat/no fat diets are dangerous. You also need high quality fat and fatty acids for brain functions which regulate your endocrine functions, via hormones. Hormones are made from the fats you eat. Dopamine, serotonin, just to name the two well known brain chemicals. Vital, to maintain optimism and energy in this increasingly challenging world, don’t you think? This book has much information about a keto lifestyle that is quite restricted. It is quite popular however. Next, how do you work out best to build muscle? Pace Express is a leading exercise technique. The great thing is you can choose the exercises you prefer to do. You choose your intensity, duration, and whether to use equipment or not. How flexible is that! Short bursts of high intensity exercise trigger your muscles to build muscle, afterwards. Recovery time is important, so you don’t need to work out every day. Here is an example of a person choosing their own pace for recovering muscle and lung capacity, after not working out for years. They start with walking. Warm up is essential, so this person would walk for at least five minutes. Next, they would walk as briskly as they’re capable, for 30 seconds. Then resume walking for 90 seconds, catching their breath. Do three times a week. Every one, two, or three weeks, they would increase the duration of the brisk walking. At their own pace. That is why this regimen works. Muscle building, muscle strength and lung capacity all gradually increase. This is quite good news, isn’t it? You can proceed with a low carb diet, either gradually cutting down, or the de rigueur cold turkey approach. You may need your health practitioner’s advice in how to start, depending on your health and medical history. I think it’s beneficial to get the general blood panels done if you have the cash or insurance in place. 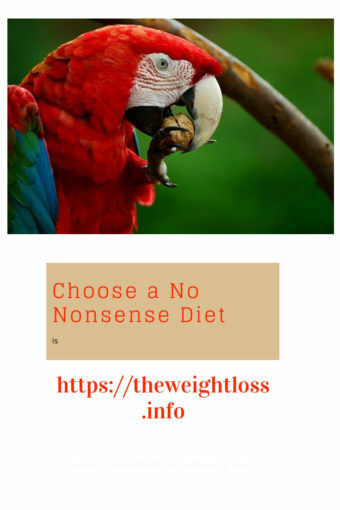 Have you tried this type of diet, or any diets recently? We’d love to hear your views on the subject. How about exercise? What’s your favorite to date? Do you try new ones often? Hi There 🙂 Very nice article. Good piece of work. Most of the people do not recognize differences between fat. For them all of the fats are bad. On the other hand, we should remember, that eating one or 2 eggs will not kill us 🙂 In my opinion, balance is very important when we are talking about diet. Hello Igor, and thanks for visiting my post. It’s true that the benefits of eggs outweigh the dangers, lol. Those essential fatty acids from soft-cooked egg yolks are…essential! Nature has combined the high protein and high fat in the egg to grow a new chicken – the balance that you mentioned! I see there are a lot of opinions about the eye yolk, I really don’t have a good grip on its impact on the body system after age 40, how can you explain that? Honestly, I believe exercise helps keep the body and soul but it gets really underated only if prescribed by a medical attendant. Thanks for this great article. Hello Salim and thanks for your feedback and question. The egg yolk offers us fatty acids that our bodies cannot manufacture out of the nutrition we consume. Especially after 40 or so, are we not concerned about our hormone balance and brain chemicals? Because those are what the egg yolk provides for us, its contribution to the hormones that keep us energized and thinking clearly. Great article I intend to share! Thanks for your visit to my blog! I hope you do share this with anyone who can benefit from this information. To your health! Great information and sounds like a diet I can more easily follow. I am going to get the Ketogenic Diet Bible for beginners. I really know very little about the diet, but I have heard so many positives. I am ready to give it a try. I think I can easily do this diet. I do have one question. What do you mean when you say you have to keep your body in ketosis? Hi Matt’s Mom! I hope Matt is well! Staying in ketosis – or fat burning mode – requires no lapse in the low carb/high fat regimen. That’s why I recommended the book, because it is a bit of a lengthy explanation. The low carb/high protein diet isn’t a low fat diet, but it is not the same fat proportion as a ‘keto’ diet, and it doesn’t advocate staying in ketosis 100%. Yet over decades it has shown to be great for weight loss and health too. 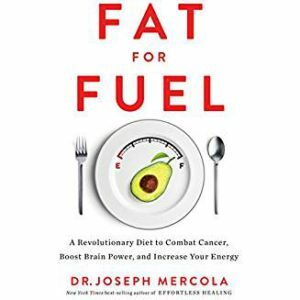 Fat for fuel is definitely an amazing resource. My parents are big advocates of anything from Mercola and they have benefited big time from him. I love the points your talking about and I think your book recommendations are on par. I think the biggest thing for me whenever I am looking for supplements is to focus on the energy aspects, and brain fats are incredibly important for this. Avacado’s were especially important when I was playing chess back in high school.Thanks for the info! Brains are made out of fat and the low fat diet craze may have compromised a lot of people. I remember my mid wife telling our birthing class way, back “do not diet”, because the brain is formed in the first trimester and needs a lot of fat. Dr. Mercola is a scrupulous researcher, like Dr. Sears, and the info is invaluable. Avocados are kind of a super food, aren’t they? I am a vegan and I don’t eat eggs at all but still i found your site quite intresting and it’s alwyas good to see other people point of views. While as a diet i do follow a partiuclar one since no animal product is cosumend , the necessity of doing exeercise is or i should say should be a must for everyone just like you said. especially if the person has high cholesteroland is trying to keep under control. Thank you for the article, knowledge like my dad used to say is power and it is alwasy good to learn and be open to somenelse opinion even if it differes from yours. Hi Barbara and thanks for weighing in here. I am most impressed with vegans. I imagine a lot of research and education must go into the choice, to be consuming enough protein. I am also aware of the variety of vegetable protein supplements available now and I think that would help a lot. This blog offers educational information and is not intended to replace medical advice. The cookie settings on this website are set to "allow cookies" to give you the best browsing experience possible. If you continue to use this website without changing your cookie settings or you click "Accept" below then you are consenting to this. 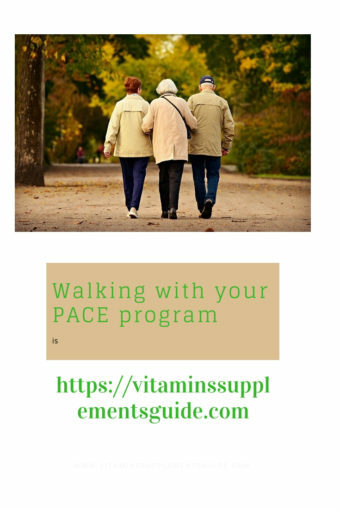 For more information, I refer you to https://vitaminssupplementsguide.com/privacy-policy to view the GDPR requirements for cookie and tracking law.